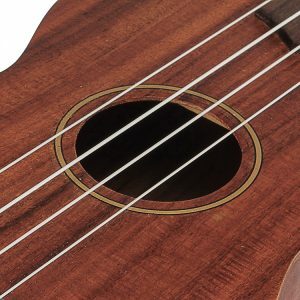 The World’s Most Played Ukulele. 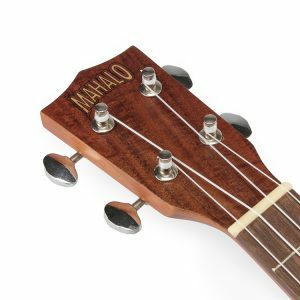 Located at the end of the neck of the ukulele the headstock holds the machine heads and supports the tension of the strings. 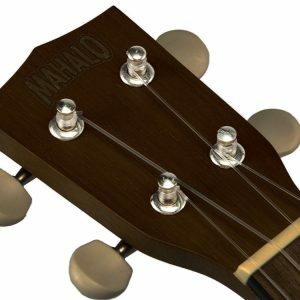 (also known as tuners, tuning pegs or tuning keys) Located on the headstock of the ukulele, machine heads are used for tuning the strings. When turned, the machine head causes the string to tighten or loosen, depending on which way you turn. 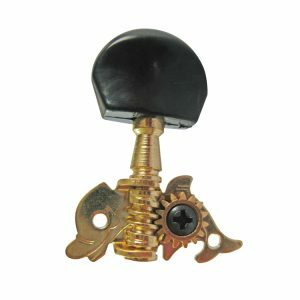 The part of the machine head to which the string is attached. The part in between the headstock and the fretboard that the strings rest on is called the nut. 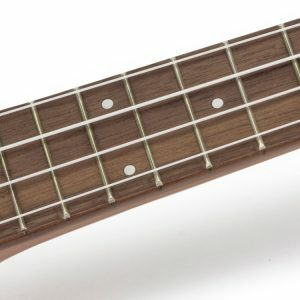 The nut controls the string’s spacing, their distance from the edge of the fingerboard and their height above the first fret. Nuts can be made from a variety of materials but most commonly they are made of ABS plastic or bone. (also known as the fretboard) is the playing surface of the neck, beneath the strings. 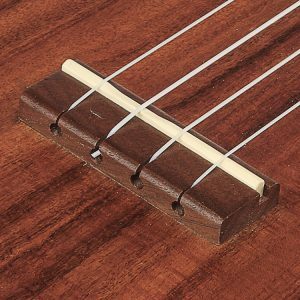 The fingerboard is made from strong, smooth wood that is glued to the neck and has metal frets slotted into it. A note is sounded by your finger as it presses the string towards the Fingerboard until the string meets the fret. Are the strips of metal hammered into the fingerboard at specific intervals. Holding down a string between different frets while plucking the string will vary the pitch or note. The neck connects the body to the headstock and supports the fingerboard. Its curved shape allows the player’s hand to cup around the neck and fingerboard to comfortably reach and hold the strings whilst playing. 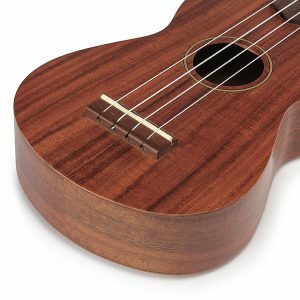 Is the soundbox of the ukulele and is comprised of a top, back and sides. The body amplifies the sound of the vibrating strings and shapes the tone and resonance of the ukulele. The strings of the ukulele are usually made of nylon or a mix of nylon and wound metal. 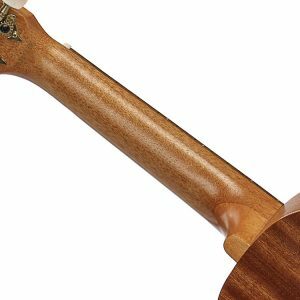 Located under the strings on the top of the body of the ukulele, the soundhole allows the sound created inside the ukulele to be amplified and projected. 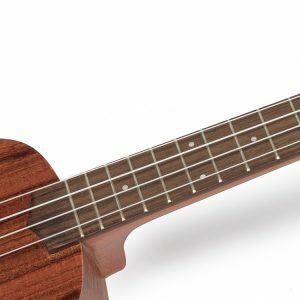 Like the nut, the saddle controls the height and spacing of the strings and transfers their vibrations through the bridge to the top of the ukulele. The strings are attached to the body of the ukulele by the bridge. 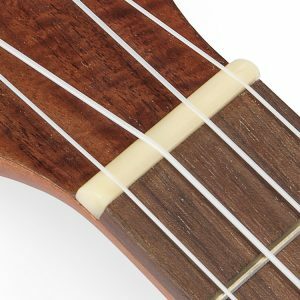 The bridge transmits the vibrations from the plucked strings to the top of the ukulele.